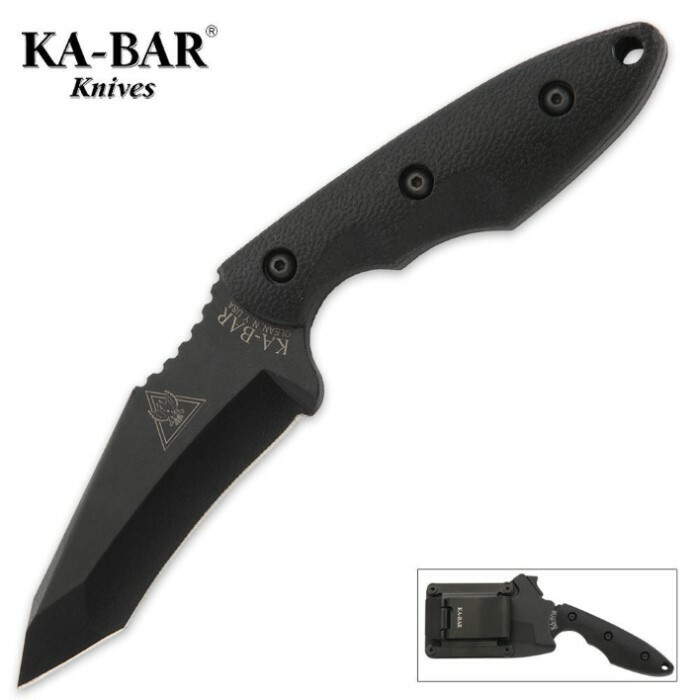 KA-BAR TDI Hinderer Hell Fire With Hard Sheath | BUDK.com - Knives & Swords At The Lowest Prices! Designed by leading industry experts Rick Hinderer and John Benner for real-world emergency and survival situations, the KA-BAR Hinderer Hell Fire fixed-blade knife offers a multitude of applications and functionality. The black powder coated full-tang stainless steel blade is razor sharp with a piercing point. Includes a locking hard plastic sheath with a metal belt clip. Proudly made in the U.S.A.